A nice twist on the squishy Puyo Puyo empire that sees players having to tackle predetermined screens of the jelly like beans. 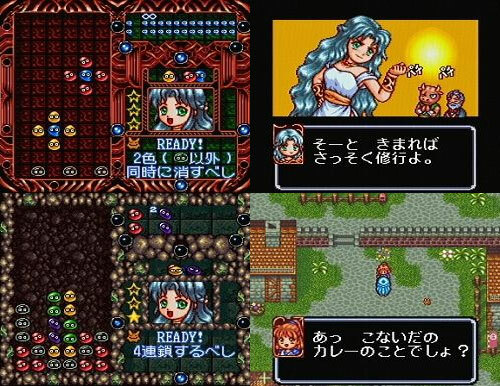 But there are RPG elements first before the player gets to the puzzles as our heroine, Rulue, takes centre stage. 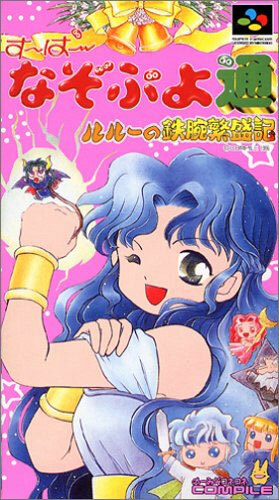 Full title: Super Nazo Puyo 2 Ruru no Tetsuwan Hanjyouki.